St Mary sits in the middle of this village to the north-west of Hingham. 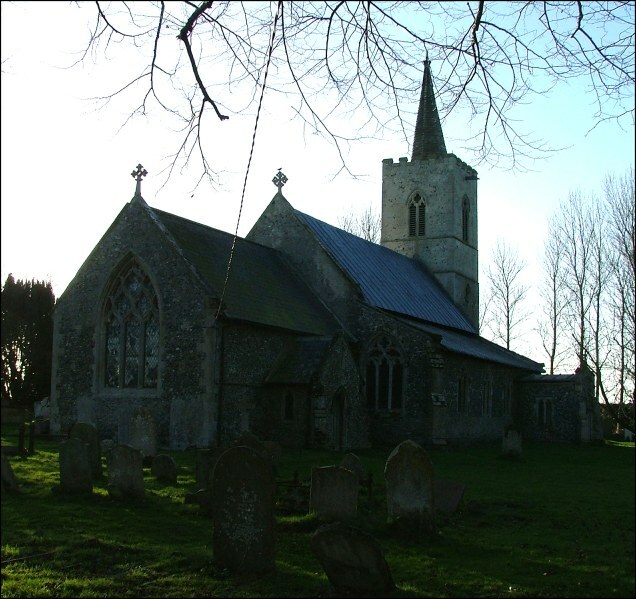 If you came here from the parish's other church at Southburgh, as we did, the first thing that would strike you is that they both in the Decorated style with spires on their towers; but Southburgh is a Victorian imitation, while Cranworth is splendid, the real thing. 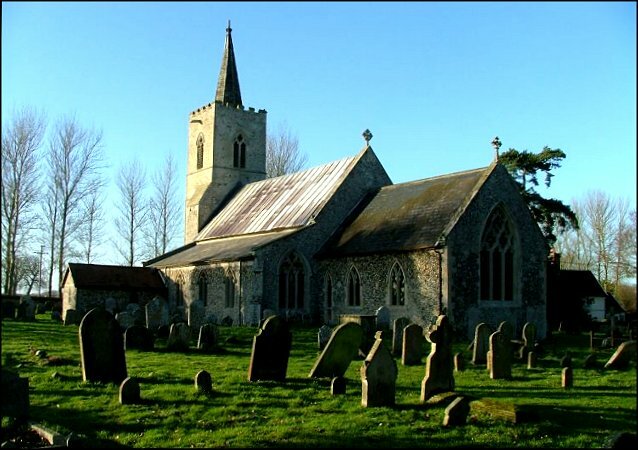 Perhaps this one was the inspiration for the other; whatever, St Mary is pretty much entirely the work of the early 14th century, a survival of Norfolk before the Black Death wiped out half the population. It would take centuries for the population to reach the same level again, and then after about 1850 it would fall away inexorably again. 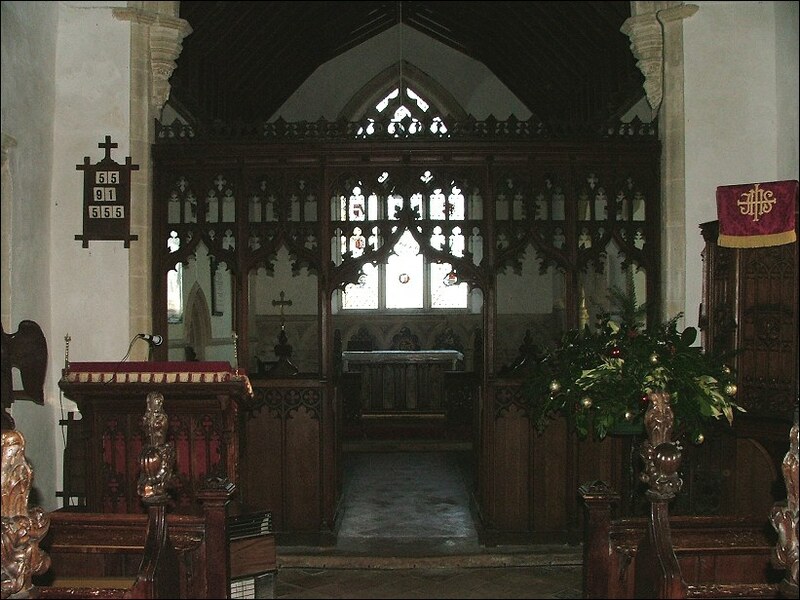 St Mary is unusual in that it is kept locked when most churches around here are not. 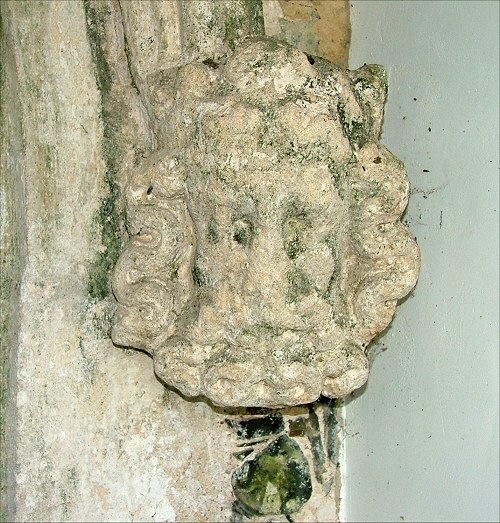 However, you can get the key from the nice lady across the road, and let yourself in through the rebuilt south porch. The corbel heads to the south door arch are very impressive, especially the bearded fellow on the right; but the porch itself is a bit of a warning that, despite the integrity of the exterior of St Mary, the Victorians were busy here. We let ourselves into an overwhelmingly 19th century interior. 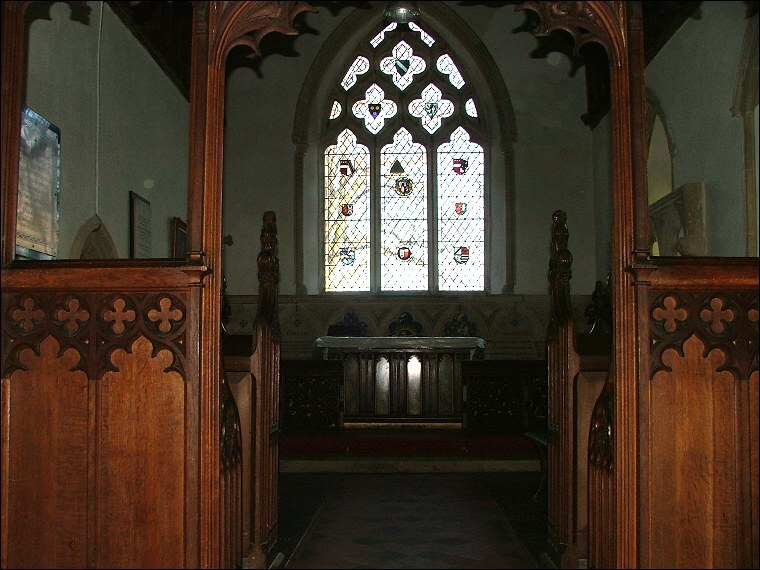 It was late afternoon, but it had been a bright day, and I was surprised by quite how dark it was inside the church. 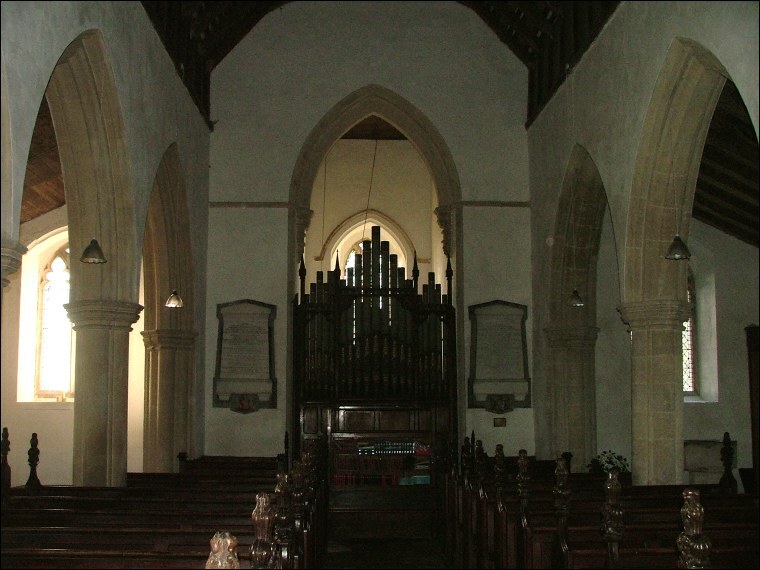 The heavy Victorian furnishings brooded sulkily, and the whole nave felt hemmed in by the heavy memorials flanking the north and south walls in the narrow aisles. Most are to the Gurdons, who lived at Letton Hall. This was their church. Confusingly, most of them seemed to have Brampton as a Christian name. 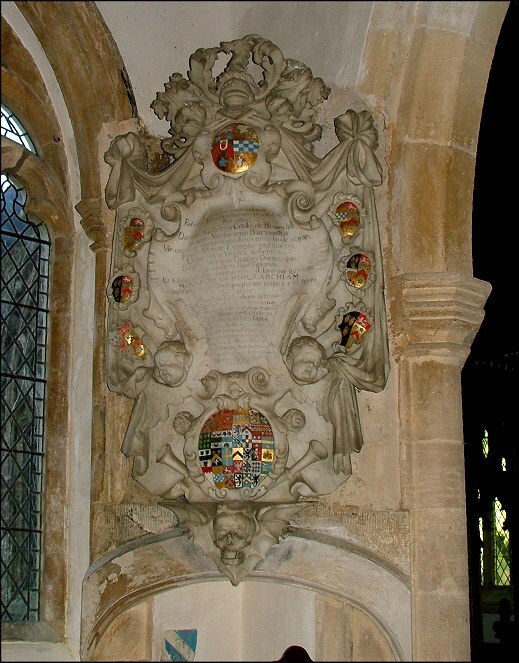 The most interesting is the one in the north-east corner which is emblazoned with their shields; it remembers a Gurdon who led a regiment at the Battle of Naseby. The best memorial is the one directly opposite this, above the old entrance to the rood loft stairs. 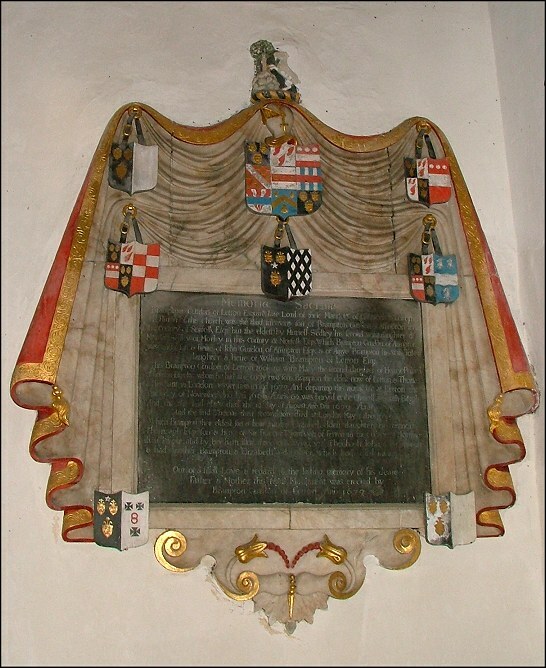 It is to Sir William Cooke, who died in 1698. 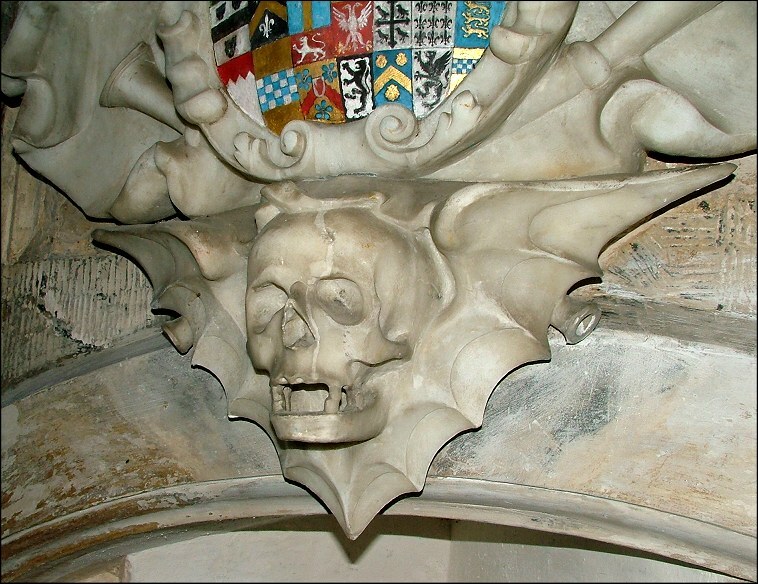 The winged skull at the base must have had a sobering effect on parishioners over the years. 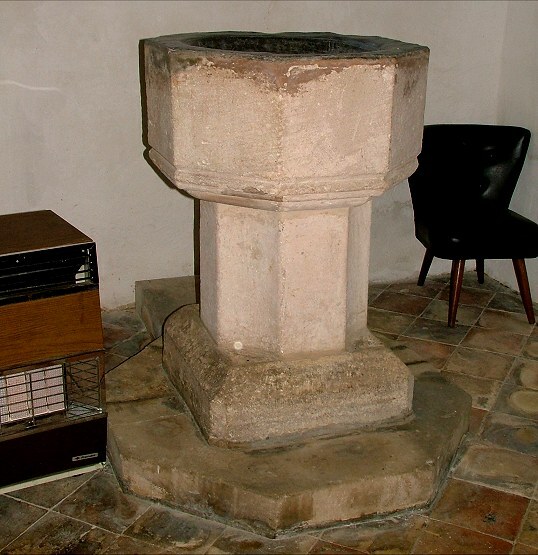 The font is a big, serious, uncut affair of the 14th century. I did wonder if perhaps it had been placed in situ at the time the church was built, and then the Black Death intervened before it could be carved. The organ fills the tower arch, looking stately and grand. All in all, the nave feels a fairly serious place. 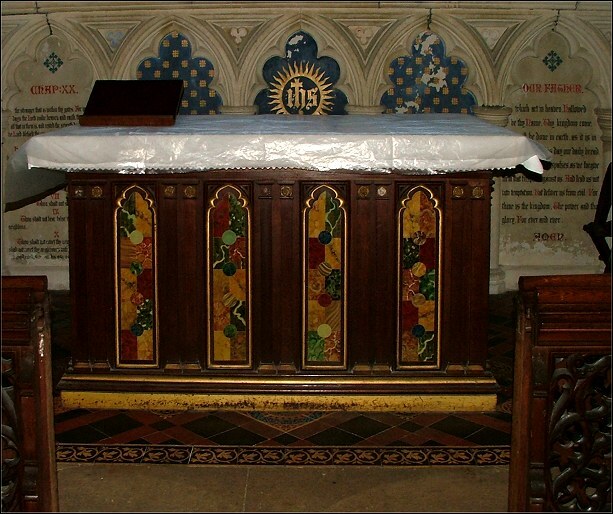 Stepping through the modern screen into the chancel, there is some relief; the tracery of the east window is bubbly and light, and that altar below has curious marquetry work in canopies, which is rather good. Does it date from the 1890s? Or is it later, Art Nouveau becoming Art Deco? 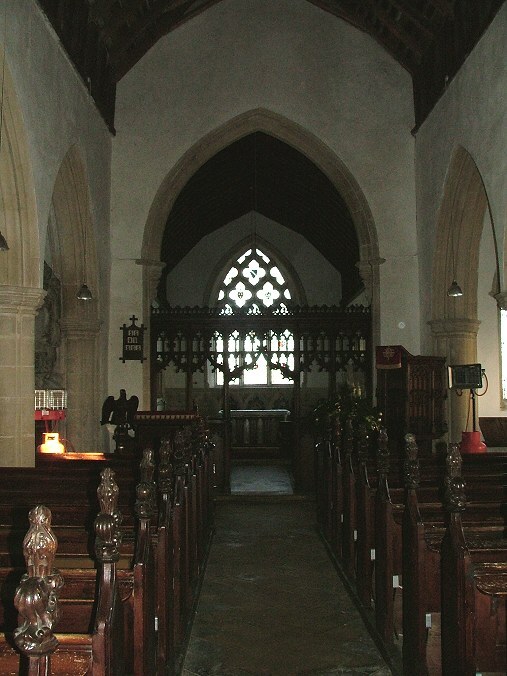 Here at last was something to ponder, in contrast to the stone cold Gurdon certainties of the nave and aisles.